Now that the craziness of the holidays is behind us, let’s all get out and enjoy some winter festivals! About 1 mile from the AcuRite Headquarters is Lake Geneva Winterfest running from January 26th to February 3rd. They’ve already started assembling the Ice Castles and the teams are prepping for the big competition for the United States National Snow Sculpting Championship from January 30th to Feb 2nd. 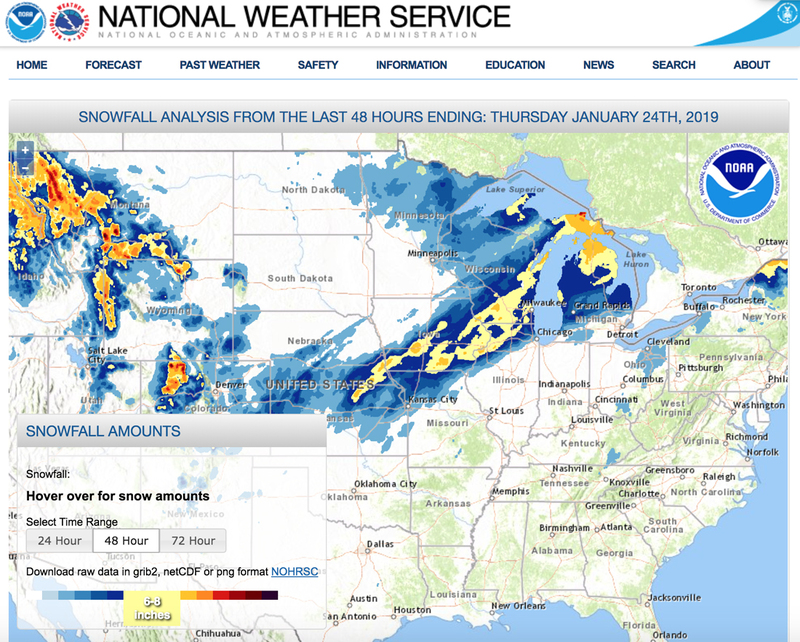 The region saw snowfall totals ranging from 6 to 8 inches this week as a low pressure system brought heavy snow to the Upper Midwest and Great Lakes Region. Some isolated areas saw over 8 inches of new snow with this system. Checkout the image below of the snowfall totals from the National Weather Service for the 48 hours as the storm brought snow to the region. Forecast: As this system passed, the Global Forecast System (GFS) weather model shows cold air continues to pour in from the north behind a cold front on Thursday. This will keep temperatures cold through the opening weekend of Winterfest. Wind chill advisories have been issued as wind chill temperatures could drop to 30 degrees below zero Friday night and Saturday morning. Expect highs on opening day to range in the single digits. Brrr….don’t worry, you can stay warm by dancing the night away at the Winterfest Dance Party! Next, GFS shows another low pressure system sweeping though the Midwest on Sunday and Monday, which will bring slightly warmer temperatures with a chance of snow Monday. Temperatures will remain bitterly cold through the week as flow from the north quickly returns and pushes more cold air in from Canada. Let’s hope for a little warm-up through the nine days of Winterfest! A list of events for opening weekend can be found here. 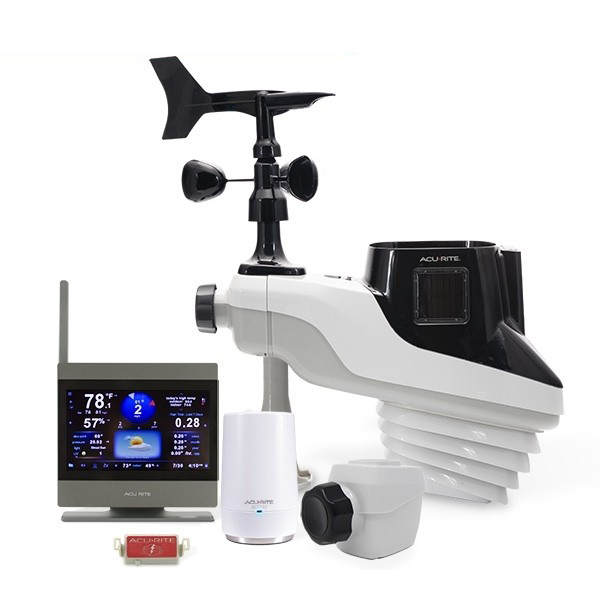 If you’re interested in staying ahead of the weather like I am, I have been using the Atlas and check the 12 to 24 hour forecast on the display, I also simply connect the station to My AcuRite for a 7 day forecast from DarkSky. 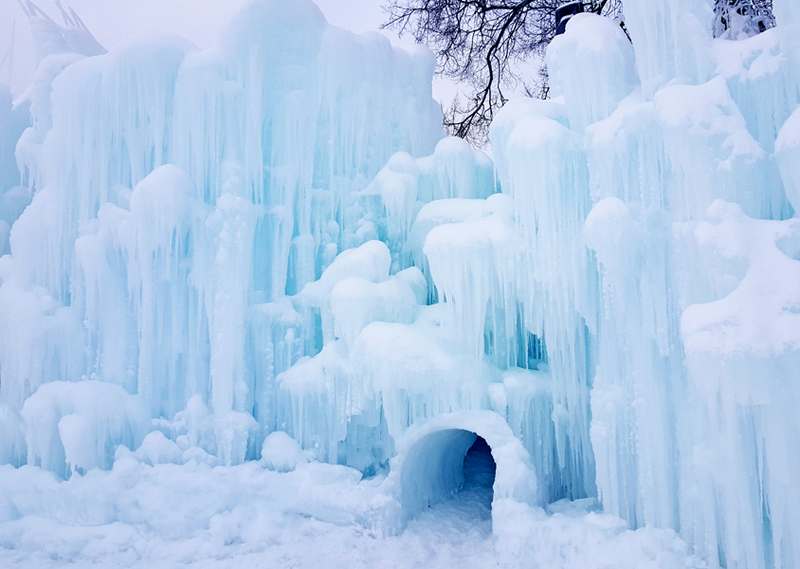 So bundle up, get out, and enjoy that crisp winter air by visiting a local Winter Festival with Ice Castles. We’ve found a few for you and posted them below, but always check your community newspapers for your nearest festivals!